Blade length : 62.3 cm or 24.52 inches. Width at the hamachi : 3.06 cm or 1.20 inches. Width at the Kissaki : 1.98 cm or 0.77 inches. 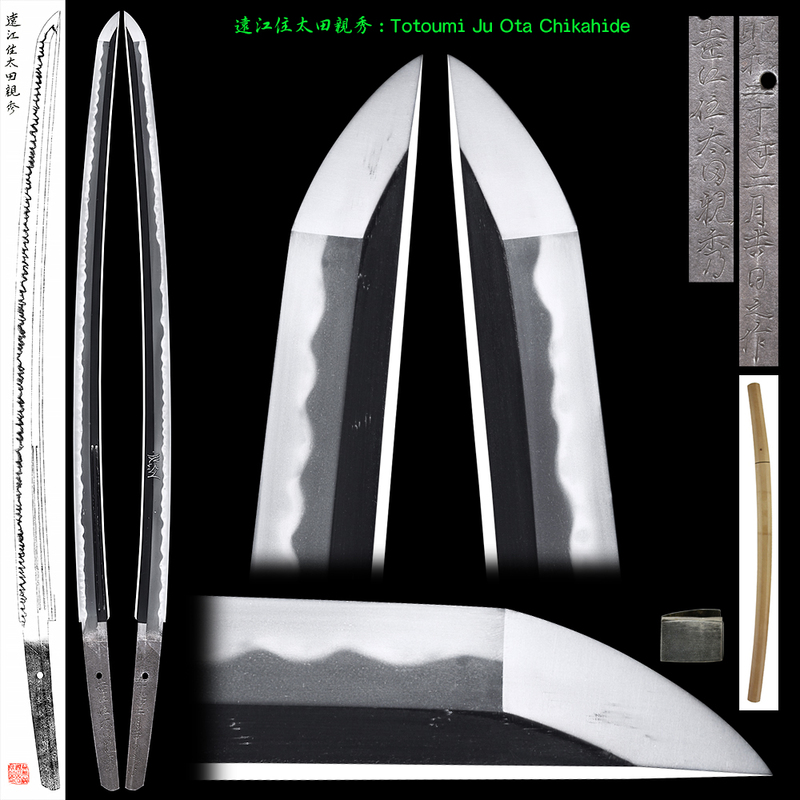 Shape : Regular size Katana with Sori. There are Futasuji-Hi and Bonji(Sanskritist) . Jitetsu : Ko-Itame Hada well grained with Jinice attached. Muji fu. 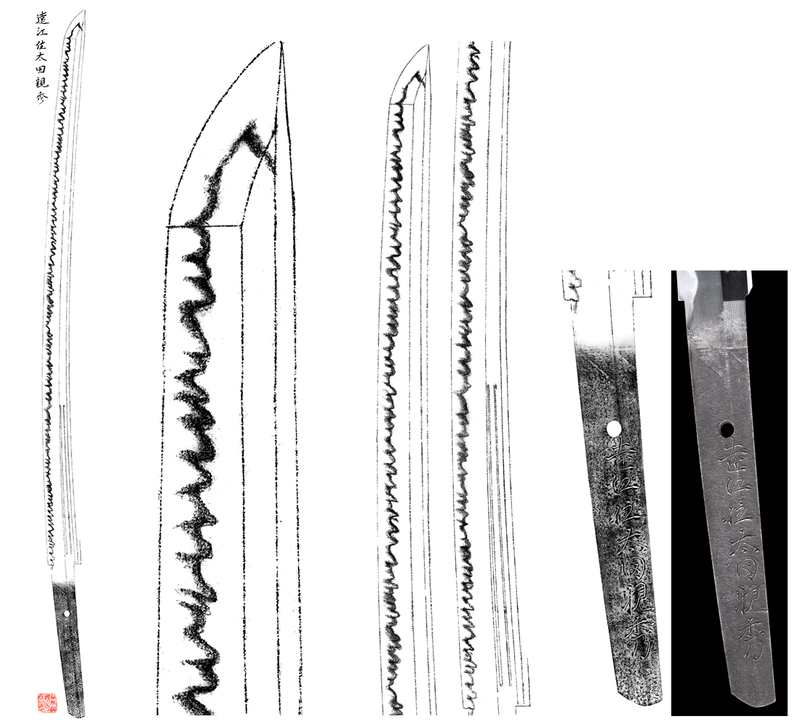 Hamon : Nioi Deki, Choji Midare with Ashi, deep Nioikuchi. Special feature : Ota Chikahide was born in Meiji 26year(1893). His real name is Ota Harutoki. He has won some prizes. He has good skills. His blade does not comparing with blade of Shin Shin To. This blade was made 6 months prior to end of war. This blade is his masterpiece.